Dealing with debt collectors can be scary, especially if you don't know the rights you have with collection agencies. 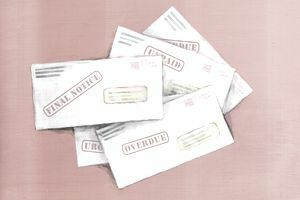 There's a lot of misinformation about debt collectors, how to deal with them, and what they can and can't do when collecting a debt. Unfortunately, believing the widespread myths about debt collectors can damage your credit, put you at risk of a lawsuit, or even lead you to pay a collection that you really don't owe. Get the facts about debt collectors and the truth behind these common debt collection myths. You can never assume that a debt collector is calling you about a legitimate debt. Sometimes debt collectors get the wrong information. Sometimes, dishonest debt collectors pursue consumers for bogus debts or debts that have long been paid or canceled. Fortunately, you can use the debt validation process to demand that collectors send proof of your debt before you pay. It's a good idea to request debt validation before you pay any debt collection. If ignoring debts made them go away, none of us would ever pay up. Debt collection calls and letters may stop if you ignore a debt long enough, but the debt doesn't go away. It will continue to be listed on your credit report until the credit reporting time limit is up. Even after the debt falls off your credit report, it likely still exists in your creditor's records. If you try to get an account with that business again, you'll have to clear up the unpaid debt first. A cease and desist letter stops debt collectors from calling you. That's it. Your debt still remains even after the debt collector's calls to you stop. The debt can still be listed on your credit report and will still affect your credit score and ability to get approved for credit cards and loans. The debt may even be assigned to a new collector. If that happens, your previous cease and desist letter does not apply. When you pay a debt collection, the debt collector is only required to update your credit report to show that you've paid it. They're not obligated to remove it from your credit report after you pay it—because paying a debt collection doesn't change the fact that you owed it. And while paying a collection is overall good for your credit and your financial health you may not see an immediate increase in your credit score after paying off the collection. Don't worry. The debt collection won't be listed on your credit report for longer just because you paid it. The credit reporting time limit is based on the date of delinquency on your account - which is the same date even after you make a payment. The collection will fall off your credit report after seven years whether you pay it or not. While the statute of limitations is technically the time limit that a debt is legally enforceable, that doesn't necessarily mean a debt collector won't sue you after the statute has expired. Some debt collectors are dishonest and don't always follow the law. They may re-age the debt or sue you in hopes that you can't prove the statute of limitations has passed or perhaps that you won't respond to the lawsuit at all. This is why it's important to keep your own records for your debts. This is only partially true. Verbally telling the debt collector to stop calling you only works in two instances. First, when you tell the collector to stop calling you at work because your employer doesn't allow you to receive these phone calls, the debt collector must stop calling you at your job. Second, if you tell a collector they're calling at an inconvenient time, they can no longer call you at that time. You must make a written request to have a debt collector stop calling you completely. Otherwise, the debt collector isn't legally obligated to honor a verbal request to stop calling you. Your debt obligation is due in full. Debt collectors may stop calling you temporarily if you make a payment on the debt, but calls will resume eventually. Making a payment according to a payment arrangement may stop collection calls completely as long as you keep up with all your payments under the arrangement. Debt settlement is sometimes a good strategy for taking care of negative accounts, but it doesn't help your credit score. The best you can hope for is that settling the debt won't affect your credit score at all. Settling won't help your credit score—not right away at least. Having a zero balance on a collection is better than having an outstanding collection, but only time and positive payment history will help your credit score improve. Debt collectors do not have the authority to put you in jail for consumer debts. It's even illegal for debt collectors to threaten to have you arrested over debts if they know they do not have the authority to do this. In some states, however, you could be arrested for certain types of debts like overdue child support or for failing to appear in court for a hearing related to the debt. Most people would rather pay the company they originally created the debt with rather than a third-party debt collector. However, you may not have that option depending on the creditor's arrangement with the debt collector. Often, the original creditor has a contract with the third-party collection agency that prevents the creditor from accepting payment for your debt. In some cases, the original creditor has sold the debt to a debt buyer who now owns the debt outright. Debt collectors and most other businesses have to follow a certain legal process to garnish your wages for consumer debts. They must first sue you and win a judgment against you. Then, if you do not pay the judgment, the debt collector can go back to court and ask for permission to garnish your wages. You shouldn't be blindsided by garnishment unless the debt collector has used the wrong address to have your legal notices served. If that happens, your attorney may be able to have the judgment overturned because you were not served at the right address.